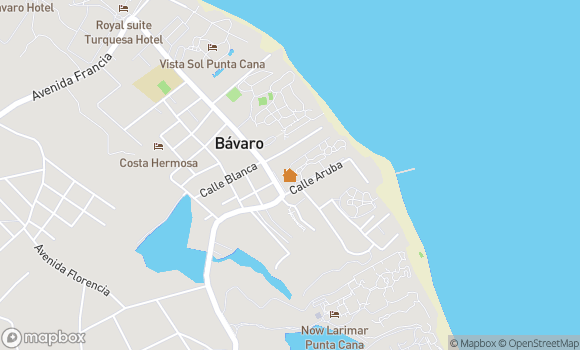 The location is good, you can access many restaurants from Playa Turquesa. We enjoyed a bakery right across from the main gate called Delices Francais, the TOC bar on the beach at Playa Turquesa serves great beach food and frozen drinks and Citrus, a restaurant next to BAM is worth going to. We had the driver stop at the grocery store on the way in from the airport for breakfast and lunch supplies, as the little market on the property, BAM, will not be enough if you plan to make a lot of meals in the condo. There is another market around the corner from BAM as well that has a little more stock. The only negative is not about the unit itself, but the noise you can hear from the bars at night. We brought earplugs and ran the fan at night and that helped and it was March (spring break) so not sure if it is always that noisy. Book your excursions with the people on the beach - they will be happy to help. A man comes by selling fruit during the day on the beach and he has great pineapples, mango, bananas, etc. Everyone very friendly and they will take no for an answer. The condo shows a little wear but very clean. They provided beach towels as well. We bought our five gallon water bottles from BAM market, and they will deliver it to your condo." We loved our stay at Playa Turquesa! Everything was perfect for our kids 1st time at a ocean. There was a bit of seaweed but they cleaned it up at all times of the day so it wasn't an issue at all. This is a very relaxing resort and the locals were great. We would definitely stay here again! " Great location,very responsive management to two problems, "
This was a nice condo. If we were staying long term we would definitely stay here again. With 3 older kids with us, it did get expensive eating out, so an all inclusive resort would have been better this time. The management group was wonderful! They helped us to get our Wi-fi working, scheduled taxis to and from the airport (and even waited with us for the driver to get there so he knew exactly where to drop us off at). The covered balcony was wonderful to relax and watch the waves of the ocean. The grounds were very well kept. If you use a rental company, Go punta cana real estate is the company to use! " We had a wonderful time during our stay. We met many people at the swimming pool. Great restaurants and a Mercado with everything you need is right outside the complex." "Very good for all except the internet. See my notes below. The apartment was very good. However, on Saturday Feb 24 the internet stopped working. I called the Go Punta Cana office. The sent someone who could not fix it. They told me they would call the cable company and have someone on Monday or Tuesday. No one came on Monday or Tuesday so I emailed again. No one came on Wednesday or Thursday so I email again. They never came to fix it. My daughter and I both have jobs that require we work remotely while in Punta Cana. It was very difficult to do that without internet. " The staff were extremely accomodating and helpful when we checked into the condo. The condo was clean and had a nice layout for a family or two couples. The location was great for walking to restaurants and the beach. No need to leave the property, except to play golf."